Zenith was formed in 2012 by baritone Michael Lampard and pianist Rhodri Clarke to explore the vast song repertoire of the 19th through to the 21st Centuries. Having performed music by composers from Schubert to Ian Venables these two exciting young performers will be presenting recitals in Melbourne and across Australia, as well as spending time in the studio recording the great works of this genre. Michael and Rhodri are experienced recitalists in their own right, both having performed around the world with leading artists and covering a wide range of repertoire and styles. Rhodri, originally from Wales has worked with artists including Rolando Villazon and Bryn Terfel. Michael was born in Hobart, Tasmania and has presented recitals in Italy, the United States, the United Kingdom, Asia and in major Australian centres. After performances together in Tasmania in 2011, Zenith debuted in Melbourne presenting a successful performance of Schubert’s wonderful song cycle Winterreise for the Lieder Society of Victoria in August 2012. In 2013 Michael and Rhodri performed in a concert at Medley Hall including a selection of Brahms’ Liebesliederwaltzer (with Teresa Duddy, Ashlyn Tymms and Carlos Barcenas) alongside Liza Lehmann’s Four Cautionary Tales and A Moral with Ashlyn Tymms. 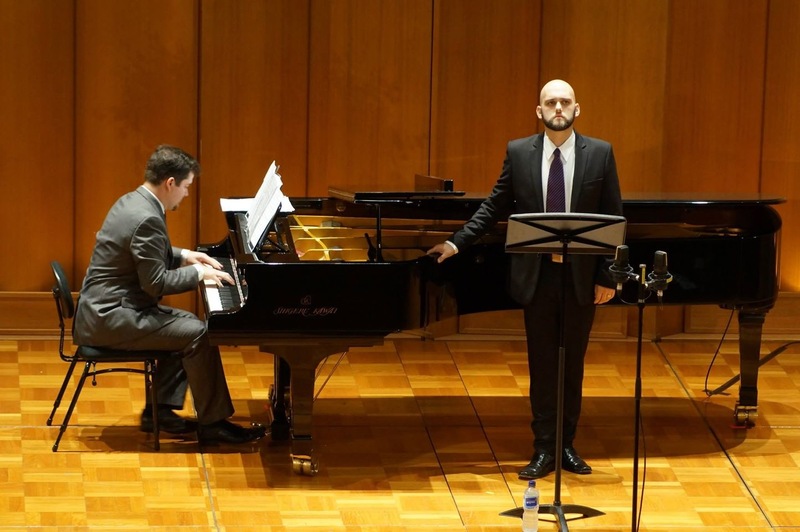 In September 2013 Michael and Rhodri presented a recital in the Salon at the Melbourne Recital Centre, and in October a recital for the Lyrebird Music Society. In 2014 Zenith have presented recitals for the Methodist Ladies College and 3MBS (Winterreise as part of the 2014 3MBS Schubert Marathon). In June 2014 Zenith present an all-Australian song recital for the Melbourne Recital Centre Spotlight Series in the Salon. This recital will feature works by Richard Mills, Graeme Koehne, Calvin Bowman, Andrew Ford and Matthew Dewey. Other upcoming performances include a recital at Scotch College and the first of their subscription concerts, which will continue with a three recital series in 2015. In 2015 Zenith will record a CD of English Art Songs and in 2016/17 a CD of Schubert’s Winterreise.